Grew up with Papagou Athens (Greece) juniors. Made his debut with Papagou, in the Greek A2 League. Signed for the 2003-04 season by Aris BSA Thessaloniki. Signed for the 2005-06 season by Maroussi Athens. Signed for the 2007-08 season by AEK Athens. Signed for the 2008-09 season by PAOK Thessaloniki. Signed for the 2009-10 season by Olympia Larissa. On December'09 signed by Kavala/Panorama. Signed for the 2010-11 season by Ilysiakos Athens. 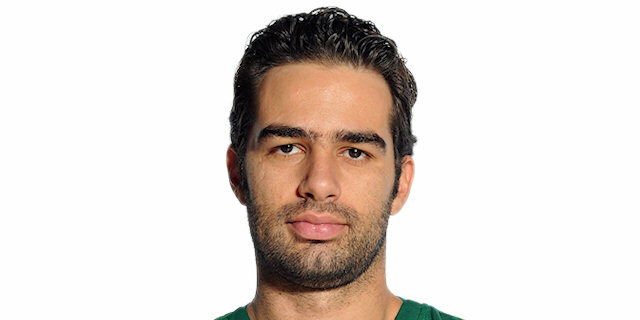 Signed for the 2012-13 season by Ikaros Kallitheas. Signed for the 2013-14 season by Panionios BC Athens. Won the 2004 Greek National Cup with Aris BSA Thessaloniki. Played the 2006 FIBA Eurocup All Star Game.